Authorised dealers with full service and installation services for Alpine products. Full Android integration for your car, we can connect your Android smartphone (Samsung/HTC/etc) for full control of handsfree calling and Bluetooth streaming. We can also integrate APP mode(s) to many new audio systems & navigation units. Authorised dealers, installers and official Installation services for Autoleads equipment. Becker authorised dealers, with full service and installation services. Authorised dealers of Blaupunkt car multimedia products with full service and installation services available. Authorised Bosch dealer with full exchange and repair of Bosch ECU, instrument clusters, car control units, ABS, steering and airbag modules to name a few. Full repair and service available. Specialists on the mounting platforms! Brodit develop and manufacture products for installation of communication devices in vehicles. Authorised dealers, with full service and installation services for Cobra vehicle security products. Authorised dealers, with full service and installation services for Connects 2 car audio systems. Authorised dealers, with full service and installation services for Dension hands free car kits. As the pioneers of sound dampening; Dynamat is recognized by consumers around the world as a quality product for solutions to unwanted noise and vibration. Authorised dealers, installers and official service and installation centre for Focal car audio systems. Authorised dealers, installers and official service and installation centre for Fusion car audio equipment. Authorised dealers, installers and official service and installation providers of Garmin satellite navigation, camera alert & fleet management products. Full Apple integration for your car, we can connect your iPhone for full control of hands free calling and bluetooth streaming. We can also integrate APP mode(s) to many new audio systems & navigation units. An American manufacturer of consumer audio products. They produce marine, home, and mobile audio products, but are best known for their subwoofers. JL Audio is known as one of the pioneers of the car audio industry. Authorised dealers, installers and official service and installation providers of JVC car multimedia receivers, digital media, speakers & amps. Authorised dealers with full service and installation services for Kenwood car audio & communication equipment. Authorised dealers, installers and official service and installation services for mObridge products; iPod, bluetooth and iPhone audio integration. Authorised dealers, installers and official service and installation services for Parrot Bluetooth hand free car kits. Authorised dealers, installers and official service and installation providers of Pioneer car entertainment and navigation systems. 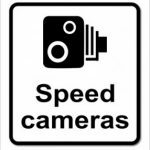 Authorised dealers, installers and official service and installation services for Road Angel speed camera locators. Authorised dealers, and official installation service providers of Rosen DVD, iPhone/iPod headrest entertainment systems. Authorised dealers of Scorpion Track GPS vehicle tracking and recovery technology, with full service and installation services available. Authorised Dealers with full service and installation services for Sony – entertainment systems, in car receivers & players, speakers & amplifiers. Authorised dealers with full service and installation services for Stinger speed trap protection equipment. Authorised dealers with full service and installation services for Thatcham vehicle security products. Authorised dealers, installers and official service and installation service for Tracker car theft tracking solutions. Authorised dealers, installers and official service and installation centre for Vibe speakers, subwoofers, enclosures & accessories. Authorised dealers, installers and official service and installation centre for Visualogic video entertainment systems.